Dr. Bill Mahoney is one of 2019’s two recipients of the Outstanding Teaching and Instructional Creativity Award (OTICA). The systemwide award recognizes faculty members who have demonstrated sustained excellence and creativity in teaching. On Tuesday, April 9, University of Nebraska President Hank Bounds announced the 2019 winners of the university’s most prestigious faculty awards for teaching, research and engagement. Among the group: the University of Nebraska at Omaha’s (UNO) Bill Mahoney. Mahoney is an associate professor in the School of Interdisciplinary Informatics and graduate program chair in UNO’s cybersecurity degree program. He is also one of this year’s two recipients of the Outstanding Teaching and Instructional Creativity Award (OTICA). The systemwide award recognizes faculty members who have demonstrated sustained excellence and creativity in teaching that has made a significant impact on students, the university and the state. “Fundamentally, the University of Nebraska exists to change lives. Our faculty, who are among the best in the world at what they do, carry out that mission in classrooms, labs and fields every day,” Bounds said. “It is a great privilege to serve among such talented and dedicated colleagues. I thank them for all they do on behalf of our 52,000 students and the state, and I join members of the university community and all Nebraskans in congratulating them on their important work and far-reaching impact." Mahoney, the recipient of numerous UNO teaching awards, was a longtime adjunct faculty member for the computer science department before joining UNO full-time in 2005. He created the master’s degree in cybersecurity for UNO, and is the recipient of several scholarship awards which were used to recruit students into the program. Two of these, the NSF Scholarship for Service grants, have provided UNO with $3.9 million to fund cybersecurity students who then enter the workforce for federal, state, tribal or local government agencies. 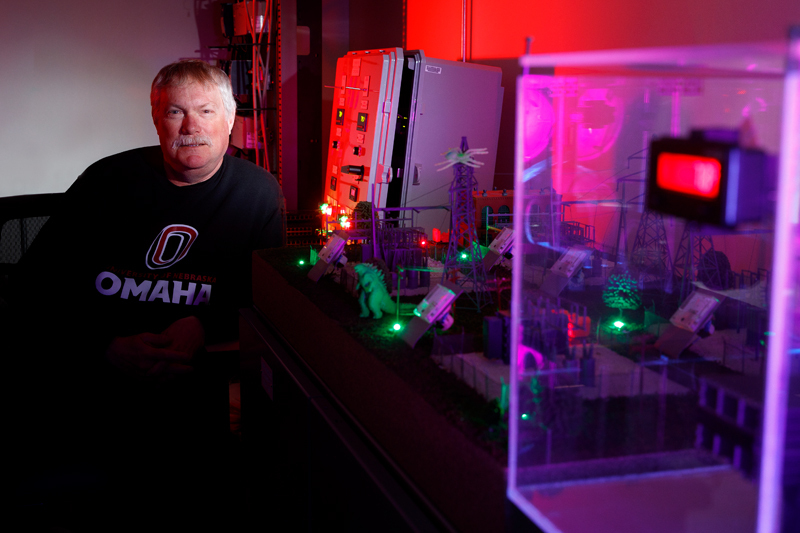 Mahoney has created new courses to support the master’s degree program which have helped UNO earn a Center of Academic Excellence—Cyber Operations designation from the National Security Agency, placing UNO in the company of only 19 other universities in the United States. Mahoney has supervised 42 independent studies, served on 44 thesis or dissertation committees, and is the faculty representative for NULLify, the UNO student cybersecurity club. Mahoney credits his colleagues and students with his success, saying they make it easy to do good things. As for his classroom approach, that comes down to experience. Multiple students and colleagues nominated Mahoney for the award. Two colleagues’ joint nomination calls Mahoney an excellent teacher and mentor. A list of the other system award winners is available online. Winners – who are selected by a university-wide committee of faculty members and, in the case of the engagement award, community members – receive $10,000 each, a presidential medallion and an engraved plaque. Awards will be presented at a luncheon hosted by Bounds this spring.